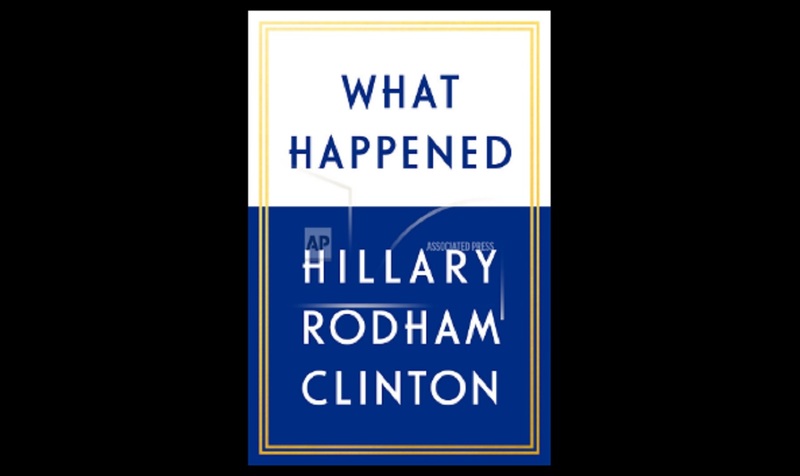 This book cover image released by Simon & Schuster shows "What Happened," by Hillary Rodham Clinton. 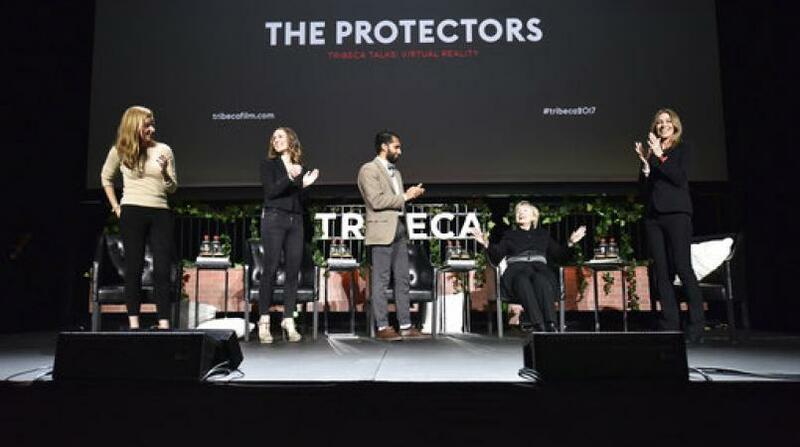 In a candid and angry new book, Hillary Clinton relives her stunning defeat to Donald Trump, admitting to personal mistakes and defending campaign strategy even as her return to the stage refocuses attention on a race Democrats still can't believe they lost. Clinton is unsparing in her criticism of Trump and also lays out some of the factors she believes contributed to her loss: interference from Russian hackers, accusations leveled at her by former FBI Director James Comey, a divisive primary battle with Bernie Sanders, even her gender. She also addresses common criticisms of her campaign, including the idea that she didn't have a compelling narrative for seeking the presidency and that she ignored Midwestern turf where Trump picked up enough white working-class voters to win several battleground states. "Some critics have said that everything hinged on me not campaigning enough in the Midwest," Clinton writes in the book "What Happened." 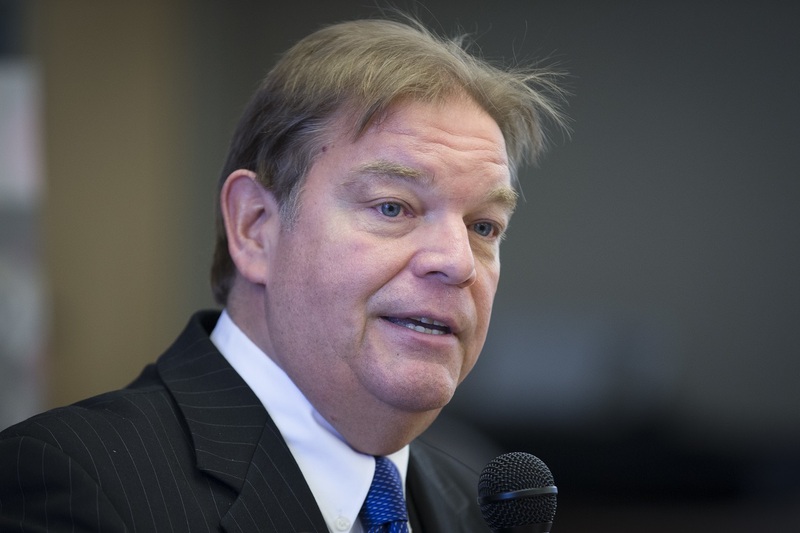 ''And I suppose it is possible that a few more trips to Saginaw or a few more ads on the air in Waukesha could have tipped a couple of thousand voters here or there." "But let's set the record straight: we always knew that the industrial Midwest was crucial to our success, just as it had been for Democrats for decades, and contrary to the popular narrative, we didn't ignore those states," she wrote. She acknowledges that "if there's one place where we were caught by surprise, it was Wisconsin," saying that polls showed her ahead until the end. But while she did not visit the state in the fall, she noted that her surrogates blanketed the state. In Wisconsin, Democratic pollster Paul Maslin called it a "bitter irony" that Clinton is now trying to reach voters — or consumers — in states he believes her campaign mostly ignored. But he said it's ultimately a side show from a has-been. "Let her do whatever she's going to do for whatever reason she's doing it, but it doesn't matter. There's just so much else happening every day with Trump," Maslin said. He said he hopes Clinton understands that "most Democrats are beyond" blaming her for November. "For her sake, I hope she can sell enough books, but if she thinks she's affecting the debate in any way, I think she's more delusional than anyone thought." Clinton's anger is most sharply focused on Comey. She said that all of the theories about why she lost need "to be tested against the evidence that I was winning until October 28, when Jim Comey injected emails back into the election." She called her use of a private email server while serving at the State Department "dumb" but accused Comey of tarnishing her image and called him "rash" for publicly re-opening the probe in the campaign's final days. She also owns up to other mistakes, saying her comment about putting coal miners out of business was the mistake "I regret the most" and that her paid speeches to Wall Street banks were bad "optics." Many Democrats have viewed Clinton's return to the spotlight with trepidation, fearing it could trigger another round of infighting over the future of the party between her more centrist supporters and Sanders' progressives. Michigan Democratic Chairman Brandon Dillon, whose state Clinton lost by about 10,000 votes, said Clinton's book can help Democrats try to "learn the right lessons from 2016." But he said Democrats and other activists on the left should avoid using Clinton's re-emergence to rehash 2016. "There's a clear difference between all Democrats and any of the Republicans. That's what we should be focusing on," Dillon said. In a recent interview, Clinton campaign spokesman Brian Fallon argued that history will render a favorable verdict on Clinton and her approach to Trump. "All of these things she tried to warn people about that were a theoretical concern, ... now it's real," said Fallon. "He's the president." In the book, obtained by The Associated Press ahead of its release date, Clinton is unsparing in her assessment of the president, calling him "a clear and present danger to the country and the world." She says she considered saying to Trump: "Back up, you creep. Get away from me" when he loomed over her shoulder during a general election debate. But Clinton, who has a reputation for avoiding blame for her failures, said she takes "responsibility for all" of her campaign's mistakes. "You can blame the data, blame the message, blame anything you want -- but I was the candidate," she writes. "It was my campaign. Those were my decisions." She also expressed frustration over what she felt was unfair media coverage.